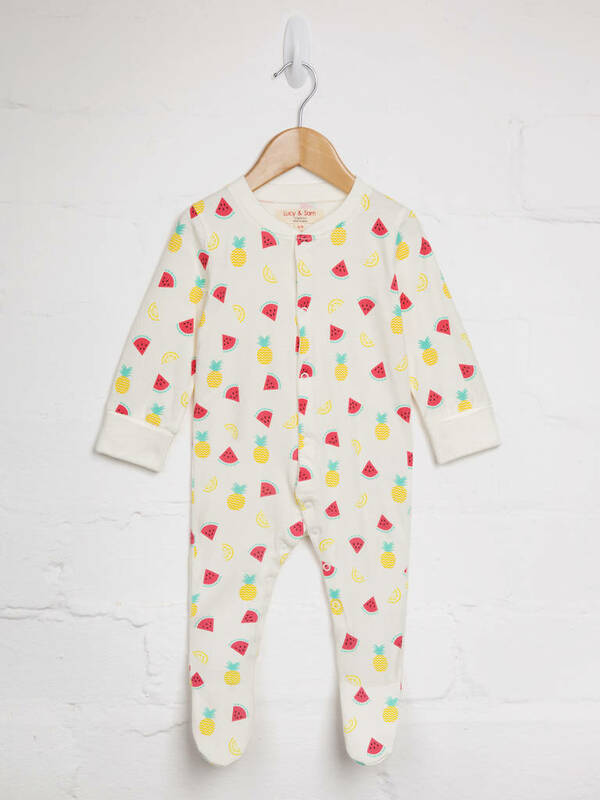 This organic and colourful tropical fruit print footed babygrow is an ideal gift for any babyshower, new baby or first birthday gift. Combining the sleek style of our button down romper, the cosy covered feet of our footed babygrow and the scratch mits from our sleepgown, this style has all the properties to make the perfect sleepwear garment. 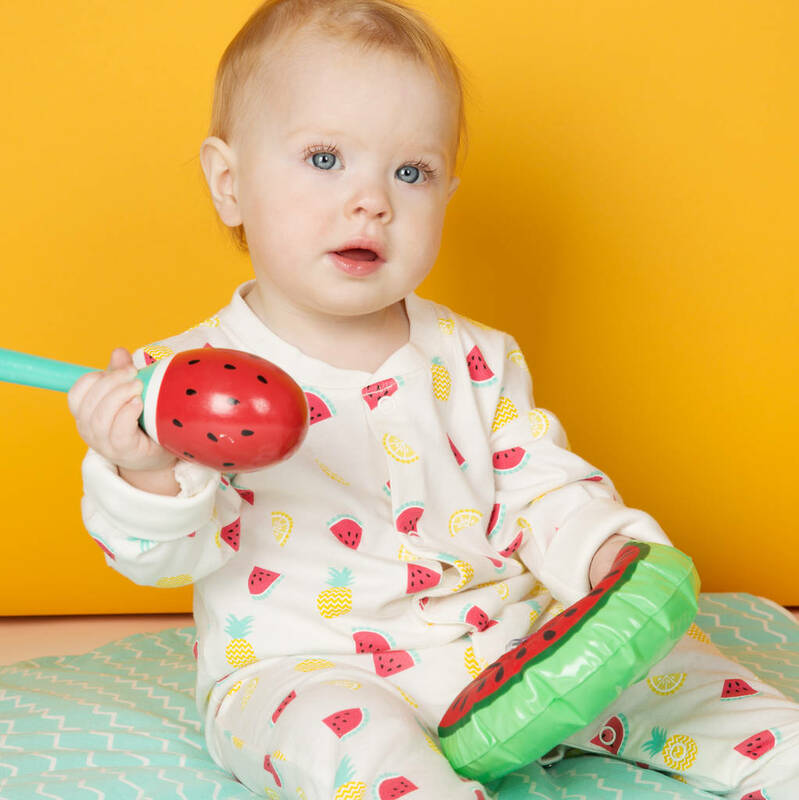 Our vibrant tropical fruit print sits on a soft, clean off white base to keep your little ones feeling cosy and looking Tropicool!